Adding a pop of sweetness to this dish, pomegranates are a great source of vitamin B6, keeping our nervous system healthy so our cells can send signals to each other. Strip the rosemary leaves into a pestle and mortar, then peel and add the garlic and pound into a paste with a pinch of sea salt. Muddle in 1 tablespoon of oil, the paprika, saffron and a swig of boiling water to make a marinade. Use little scissors to cut down the back of each prawn shell and remove the vein. 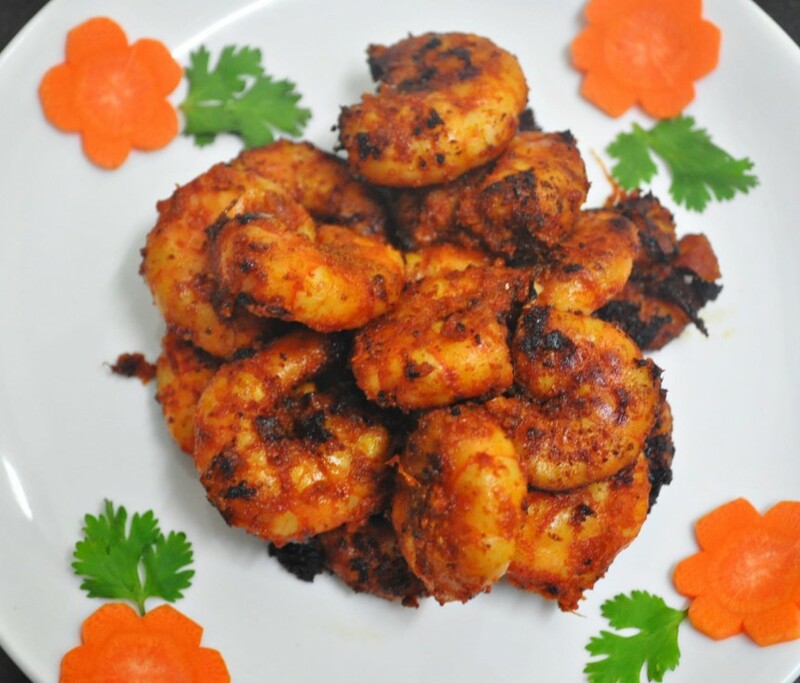 Cut 1 orange into wedges, toss with the prawns and the marinade and leave aside for 10 minutes. Put the couscous into a bowl and just cover with boiling water, then pop a plate on top and leave to fluff up. Take a bit of pride in finely chopping all your colourful seasonal veg and chilli, and put them into a nice serving bowl. Pick a few pretty mint leaves and put to one side, then pick and finely chop the rest and add to the bowl with the juice of the lemon and the remaining orange. Add the couscous, toss together and season to perfection. Put a large non-stick frying pan on a high heat. Add the prawns, marinade and orange wedges and cook for 4 to 5 minutes, or until the prawns are gnarly and crisp, then arrange on top of the couscous. Dollop with yoghurt, then halve the pomegranate and, holding it cut side down in your fingers, bash the back so the sweet jewels tumble over everything. Sprinkle with the reserved mint leaves and serve.